This Next Level Education webinar has a 80% user satisfaction rate. Part 2 you're not going to want to miss! Ever wondered what daily life is like for a TV Writer? Looking for ways to manage and maximize your schedule to output great, useful material without losing your mind? Wondering how the hell you’re supposed to write when you’ve got a full-time job? Tune in for this exclusive 2-Part Stage 32 Next Level Webinar taught by TV Writer/Producer Charlie Charbonneau (CW shows: The Secret Circle, The Vampire Diaries, and its spin-off The Originals) to hear about life and work of TV writers, on AND off the clock. You'll gain insight that will help you succeed in finding your next assignment and how to excel in the position. In Part 2 the followup to So You Want To Be A TV Writer? 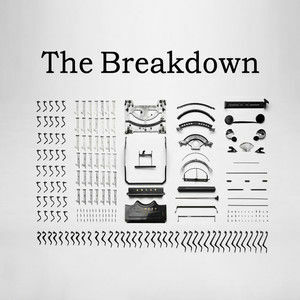 An Inside Look - Part 1, Charlie will unpack all the ups, downs, problems, and pleasures that come in the daily life of a working TV writer. Hear insider advice and information about writers room etiquette, climbing the title ladder, taking notes, rolling with the punches when your material doesn’t impress the powers that be, and making sure you get paid. He’ll even discuss the best way to interact with those hot-shot actors in your show. As usual, get ready for some horror stories from the trenches! Blue sky — what is it? What does the day look like? How to prepare? Producing your episode — meetings, shoot schedule, etc. Writers room etiquette — best idea wins? Respect hierarchy? When to fight for your ideas, when to go with the flow. Writing on the side — can you develop when you’re on a show? Getting paid — how much to writers really make? Plus, an in-depth pre-recorded Q&A with Charlie to answer all of your questions! To see Part 1: click here. "Merci beaucoup Charlie. Very clear and informative information, which will most definitely help grow pitching potential." - Romain R.
"Charlie has a great demeanor and delivery. Very comfortable. Great insight on structure of a good pitch." - James R.
"I'm grateful for how generous he was with his knowledge and time. He was awesome." - Joanne L.
"This was by far one of the better webinars I've attended on Stage 32. The information was relevant (which was of upmostimportance) and Charlie was an enjoyable presenter." - Matthew M.
"I think he managed to balance the 'luck' part of this business with the 'talent,' and what we need to do." - Kerry F.
"Charlie was outstanding. He was organized, helpful and extremely insightful." - Kimberly E.
“Your Dad could sell a ketchup popsicle to a woman in white gloves” —David Spade, Tommy Boy You’re a writer. Your work is entertaining, informative, thought provoking — heck, it’s even clever. You dream of tapping away on your lap-top in a cabin, sending off your material to a publisher or a producer, and collecting your check from the mail-box in the evening before pouring yourself a glass of Malbec red wine and walking your dog by a river. It’s a beautiful dream. But the reality is, no matter how good your writing is, no matter how brilliant your ideas are — if you’re ever going to have that cabin, not to mention enough cash to cover dog food every month, you have to know how to pitch well. 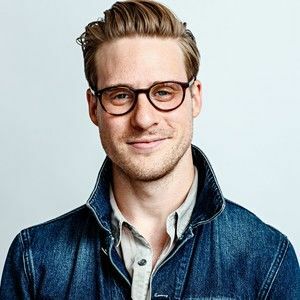 In this Stage 32 Next Level Webinar, TV Writer/Producer Charlie Charbonneau (CW shows: The Secret Circle, The Vampire Diaries, and its spin-off The Originals) will teach you how to successfully pitch your ideas as a writer. You’ll learn about the many different scenarios where you’ll have to translate that spectacular idea in your brain to someone who’s never heard it before. This webinar will lay out the rudimentary yet vital skills used by the pros to win over the show-runners, buyers, and agents. You’ll hear about the nitty gritty do’s and don’ts of pitching in places like the TV Writers Room, a studio or network executive’s office, and at lunch with the agent or manager you’ve been dying to meet with. Also, Charlie will be giving you tips on how to nail your 8-minute pitch so you can take advantage of the Happy Writers pitch sessions offered every week. He'll guide you through how to start, cultivate interest and leave the executives wanting more. He'll not only cover live pitching but how to deliver a superb written pitch! You will get to examine the biggest enemies to a great pitch — fear and anxiety — and strategies to neutralize them so you can keep your cool. And, of course, those who tune in will get to catch some horrific pitch fails from the trenches of TV staff writing. Writers in any medium and at every experience level will benefit from this webinar — from novices to experts. And anyone else looking to hone their sales tactics in the entertainment industry or elsewhere will walk away with strategies to bring their pitch games to the next level. Writers can't rely on jump-scares and creepy music, so how do screenwriters create tension on the page? We'll take a look at needling suspense of THE BABADOOK, the tension just below the surface in GET OUT, the apocalyptic horror of “The Walking Dead”, and the creeps and chills of IT. Learn directly from award winning non-fiction producer of 8 films, Jim Young, President of Animus Films: Lovelace (Amanda Seyfried), The Words (Bradley Cooper), Life of a King (Cuba Gooding Jr.) - Exclusive for Stage 32 members! With all the recent success for true story dramas including 12 Years a Slave, The Butler, and Dallas Buyer's Club (among many others), it’s an exciting time in the marketplace for non-fiction. If you have found a story that truly inspires you and know it will make a great film, sometimes it’s hard to know where to start to make that happen. The easy part is finding the right story, the hard part is knowing what to do with it. Whether it’s a book, a newspaper or magazine article, a documentary, or even if it’s a story of someone you’ve met or are related to - If you want to learn how to take the kernel of an idea or acquire existing material and develop it into a feature length film, this is the webinar you need taught by one of the most experienced independent producers on the subject. Stage 32 Next Level Webinars is thrilled to bring you Developing a True Story Into a Film (Acquiring / Developing / Writing / Producing / Distributing), hosted by award-winning Producer Jim Young of Animus Films (Lovelace, The Words, Life of a King). Jim is a leading independent non-fiction producer, with 8 films under his belt. We are honored he is bringing his knowledge exclusively to the Stage 32 community. In Developing a True Story Into a Film, Jim will take you through the steps of acquiring the rights to a particular article, book or other printed material about, or the life rights of, a given person (or persons). 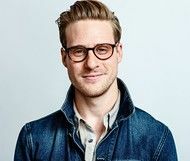 From there he will cover writing and developing the script, getting buttoned up legally to avoiding pitfalls in the pre-production and production phases, and navigating the process of releasing and distributing the film. 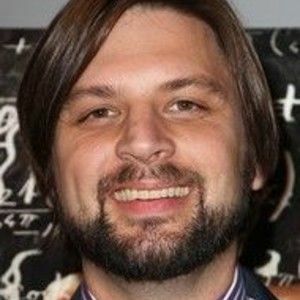 He will provide real life case studies using some of his own films as examples to help you gain real world experience and make the process painless.